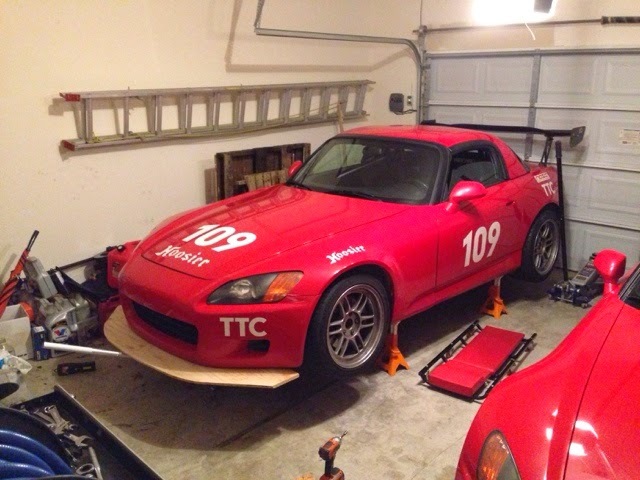 Here is the S2000 at my local Autotire, where I am getting the new Hoosier R6 rubber mounted to the track wheels (which aren't on the car, but will ride home on the Tire Tail). 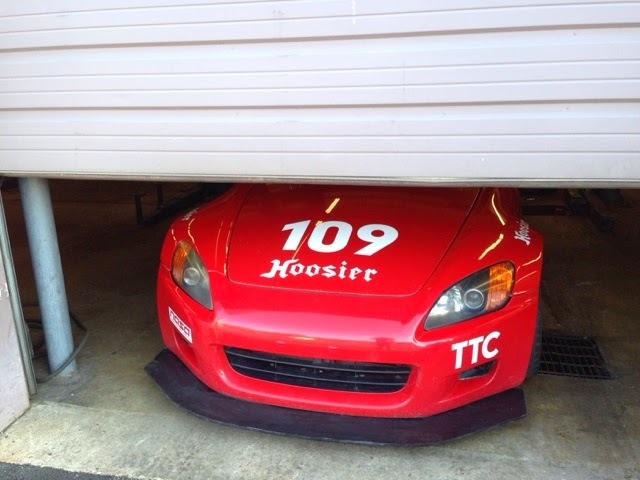 You might notice the giant splitter protruding from the front bumper. This is a new piece replacing the smaller unit I made and only ran in test sessions. Gateway this weekend will be my first event using the front aero. The splitter began life as a piece of three quarters plywood. 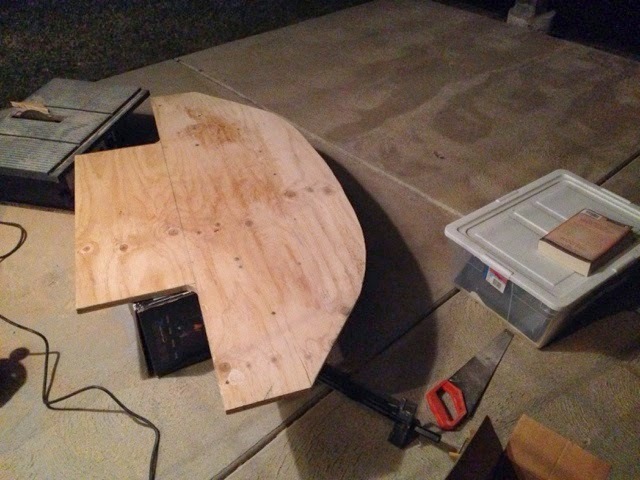 It is shaped to follow the curvature of the bumper, extending about 6 inches. The back piece extends the flat bottom to about the centerline of the front axle (as limited by NASA rules). The old splitter, in black above, shows how much larger the new piece is. Hopefully this addition will allow me to utilize more of my rear aero as well. 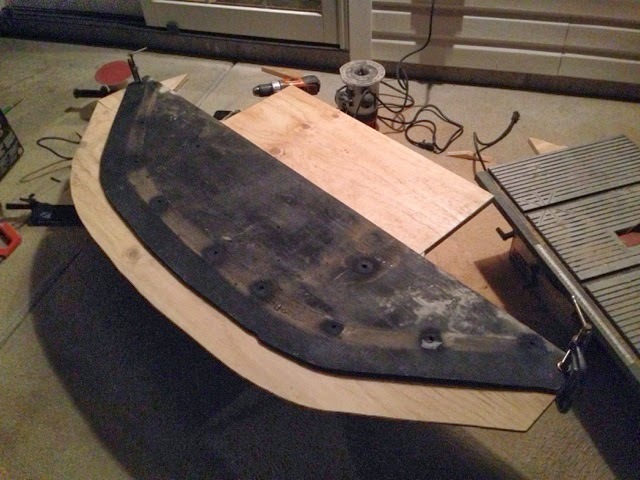 The old splitter also provided a quick template for drilling the mounting holes. After a quick test fit, primer and multiple coats of plasti dip were applied, resulting in the look seen in the first picture and hopefully providing a flexible and water repellant finish.